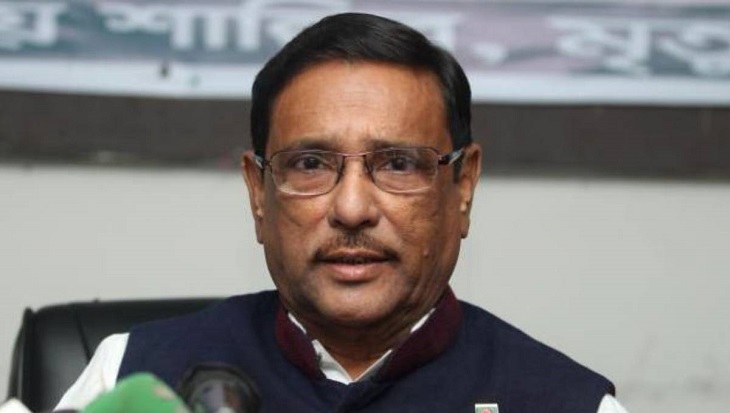 Road Transport and Bridges Minister Obaidul Quader on Friday ordered the authorities concerned to remove all the illegal establishments along roads and highways across the country within a week. Talking about Jatiya Oikya Front's demand for arranging a fresh election, Quader said, "It's ridiculous to raise question about the 11thparliamentary election which got global recognition." He also urged the Oikya Front to come to parliament to talk about their demands. Democratic countries across the globe, even Pakistan, have recognised the election, he said adding, "In such a situation, Oikyafront's demand for fresh polls is just ridiculous."